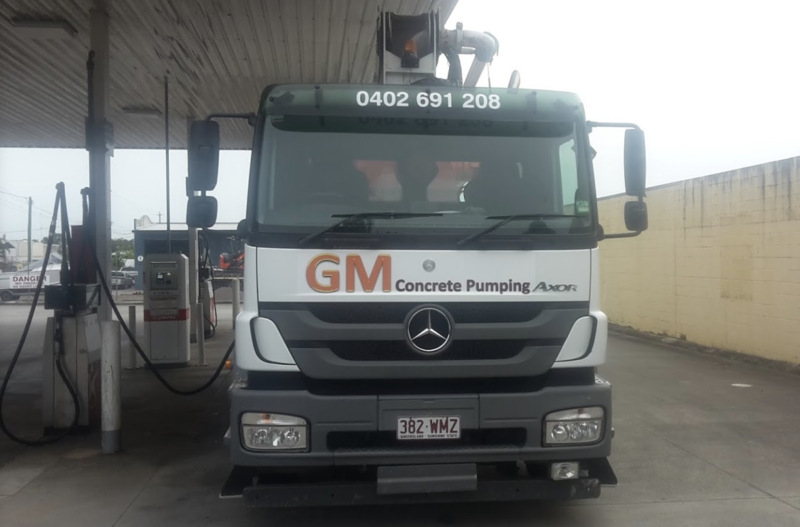 Gaine Malcolm, the principal of GM Concrete Pumping has been concrete pumping for 20 years and with the assistance of his 2 fold 32 metre Callaghan Boom Pump he provides an excellent domestic concrete pumping service from the North of Brisbane in the South, to Noosa in the North of QLD. GM Concrete Pumping has well maintained modern equipment that can reach well over 50 metres if the job requires it. 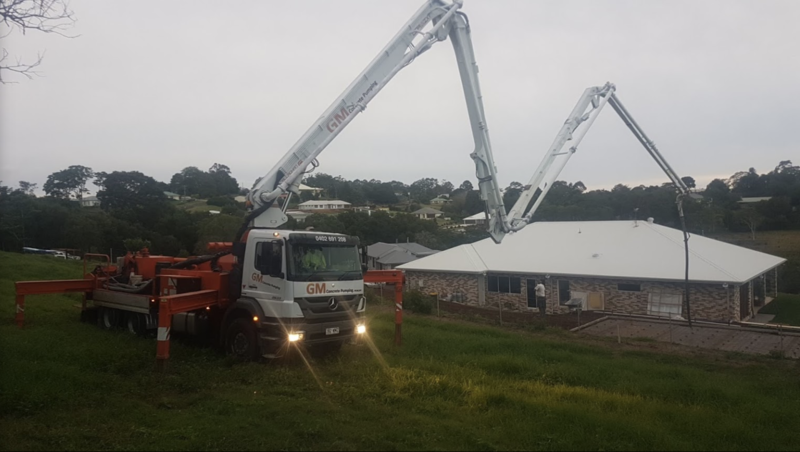 With over 20 metres of 2 inch or 3 inch hose from the end of their boom GM Concrete Pumping is well suited to most house and shed slab pours on the Sunshine Coast. Our 32-metre boom can deliver high quality concrete to any site, wherever it needs to go. You can also hire our truck, so you can focus on the rest of your project. Our pump operators will ensure your concrete is delivered safely and on time. 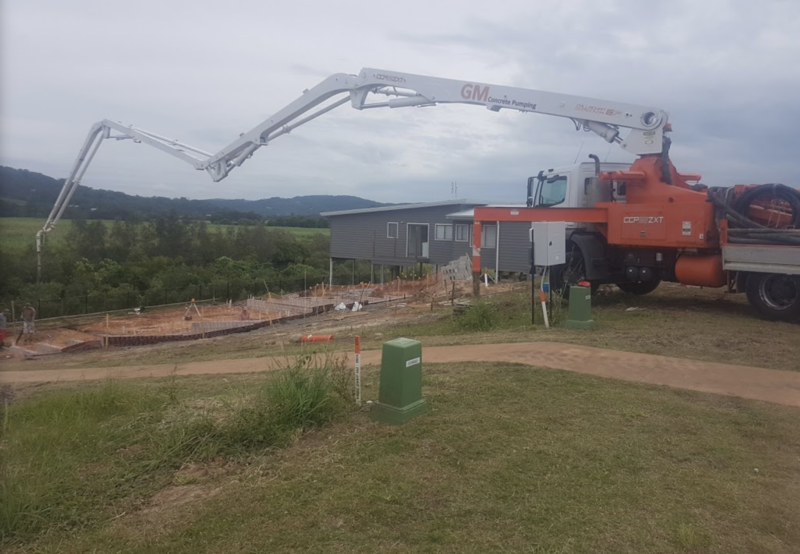 Hire GM Concrete Pumping for all your concrete pumping on the Sunshine Coast and we will deliver quality service at the most competitive price. We have pumps for any size job from a simple house foundation to a full-size project. 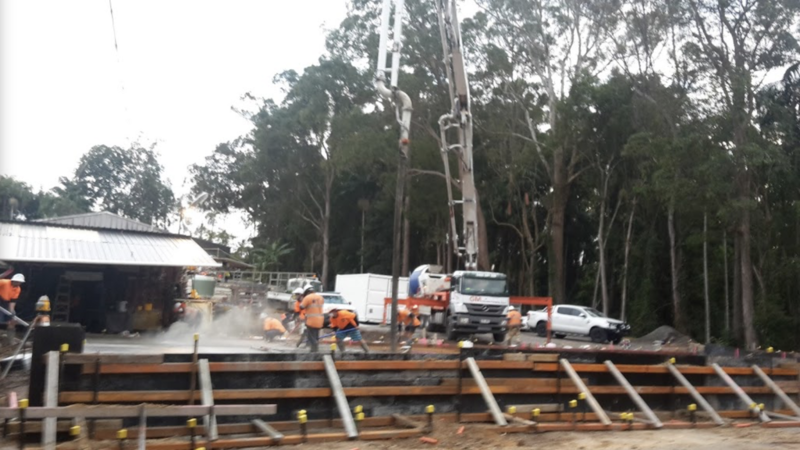 Bring GM Concrete Pumping into the mix on your next construction project and get the specialist in all aspects of concrete pumping on the Sunshine Coast on board. We will help you lay a solid foundation at your home or job site, ensuring that you have a solid base of operations and quality concrete to work from. 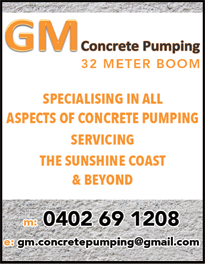 GM Concrete Pumping pump concrete all over the Sunshine Coast including Caloundra, Warana, Mooloolaba , Buderim, Alexandra Headland, Landsborough, Maroochydore, Beerwah, Nambour and Montville. Concrete pumping is a professional service requiring experienced operators and well maintained equipment, both of which are avaialble at GM Concrete Pumping. So whether its piers your pumping or the house slab itself, call GM Concrete Pumping for an oblication free quote on 0402 691 208. 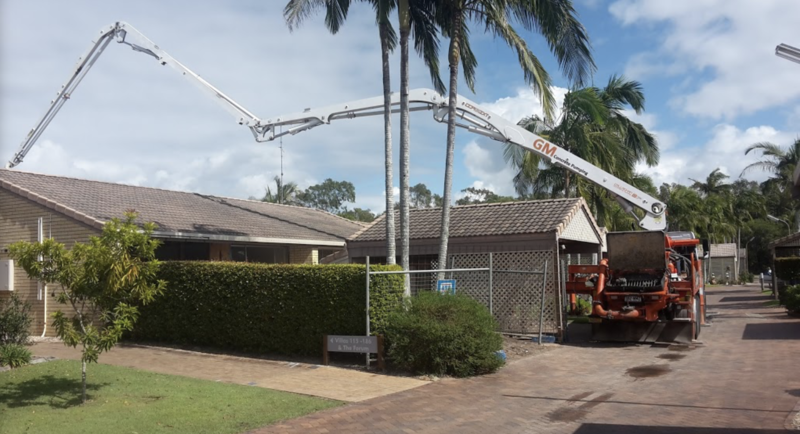 We can handle just about any concrete pumping you throw at us, from shed slabs to shotcrete, driveways to stairs, suspended slabs to swimming pools, make GM Concrete Pumping your first choice for concrete pumping on the Sunshine Coast.